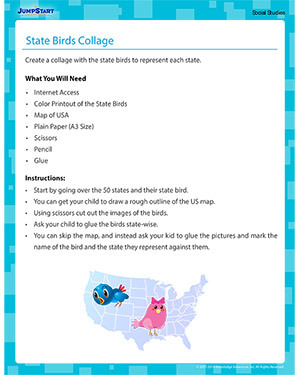 Third graders can learn about the 50 US states and their state birds by making this collage. This social studies activity teaches kids about geography and different birds. For more on geography, check out these free activities.